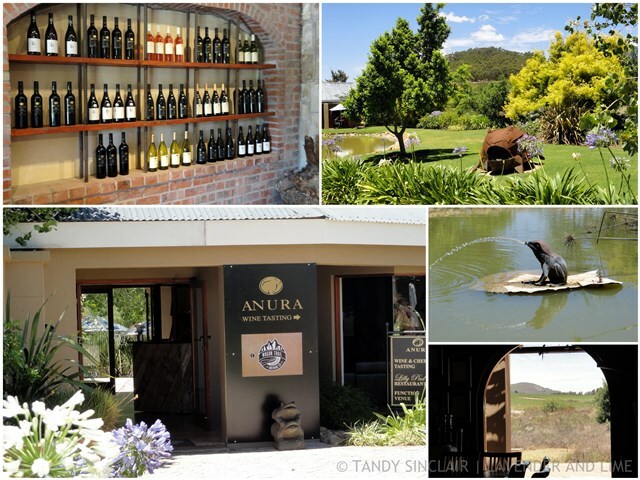 On the Simondium Road, close to Klapmuts you will find the most beautiful wine estate, Anura. Dave and I took a drive through one Friday before lunch, and started our visit at the estate with a wine tasting. The wine steward was very informed, giving us anecdotes about the wines we had chosen, as well as his personal preference in each glass. Dave and I shared a wine tasting (R25 for 6 glasses). We tasted the 2011 Sauvignon Blanc Reserve (R95/bottle) first. The grapes were sourced from Durbanville and the wine displayed heavy minerality. Our next glass was the Legato 2012/13 (R60/bottle) which is a blend of 55% merlot and 45% cabernet sauvignon. The wine is light, slightly acidic and cherries forefront on the nose. After this we tasted the Merlot 2012 (R70/bottle) which has spent 12 months in oak and has the most amazing aroma of red roses and is a dry, light wine for every day drinking. We then moved on to the Pinotage 2012 (R70/bottle) which spent 12 months in heavily toasted American oak. This is responsible for the chocolate aromas and the wine has a lovely spicy nose and is extremely dry. 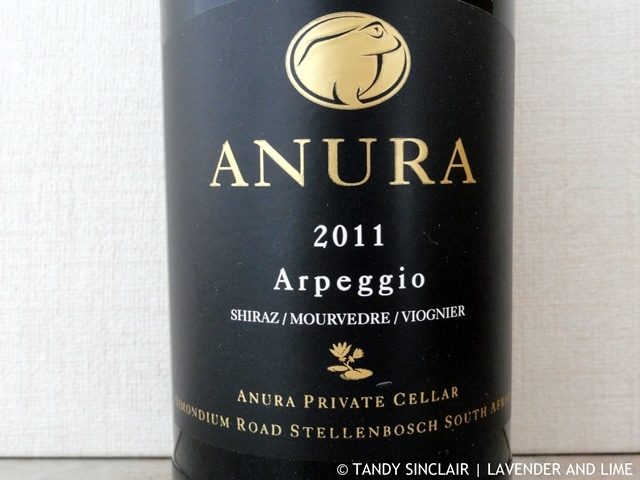 Our wine steward suggested we try the Arpeggio 2011 next (R68/bottle) as an extra. This is a blend of 58% syrah, 32% mourvedre and 10% viognier. The nose is full of red currants and a whiff of smoke. After this we tasted the Syrah Mourvedre 2005 Reserve (R95/bottle) which is 85% syrah, 10% mourvedre and 5% granache. The wine is very dry and heavy on tobacco. Our last tasting was the Petit Verdot 2008 (R95/bottle) which was placed into new French oak for 22 months. The grape has a thick skin which results in a very complex, dry, smooth wine with beautiful legs. The nose is cassis and the wine has strong mineral flavours. We so enjoyed the Arpeggio that we bought 3 bottles to take home with us. We have enjoyed one bottle already at a friend, and the nose is so dominant that each sip is a full taste sensation. A lovely place to visit as well! What a beautiful estate, Tandy. All the wines you tasted sound really good. I wonder if Anura export to the USA. Hi Tandy, I really enjoy blends, looks like this was a great time! Tandy these photo’s are lovely, I confess, I haven’t seen grass in so long I forgot what it looks like! Sounds like your wine tasting was a lot of fun. Here in the Niagara Falls (especially on the Canadian side) ice wine is very popular. I think it’s kind of like a wine slushy? Maybe you’ve tried it? What fun and what a beautiful estate!